Bridges are among the most powerful and important symbols in human society – symbols of connection, of cooperation, of hope and of harmony. Art is a bridge. It is a universal language. Through symbolism, colour, form, and mark-making the artist builds a bridge that connects inner experiences to outer visual images, and creates a visual dialogue that transcends language and cultural barriers. 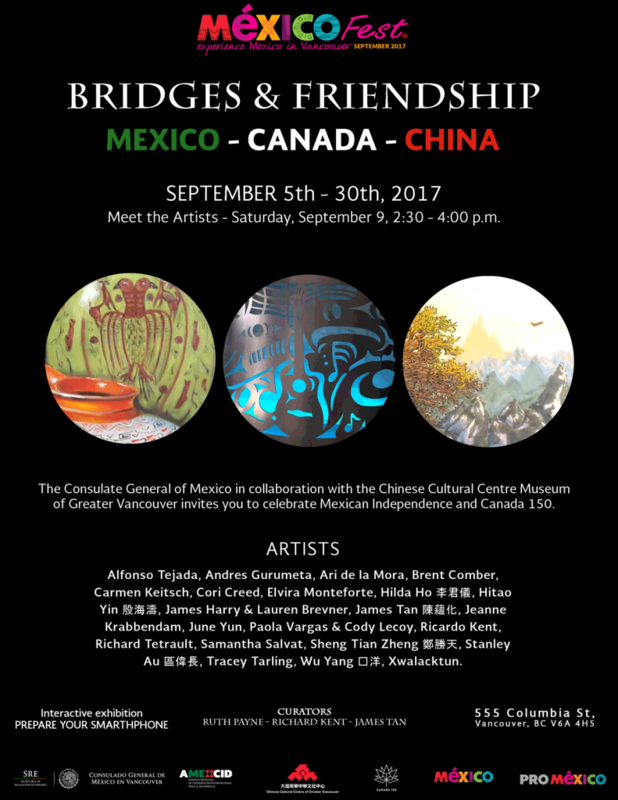 We celebrate bridges and friendship between countries and cultures– 207 years of the Independence of Mexico, Canada 150, and 45 years of diplomatic relations between China and Mexico.